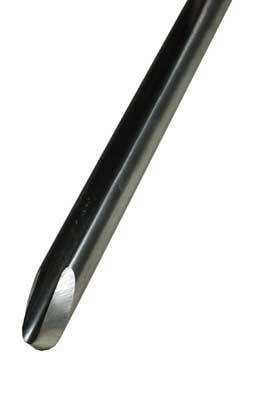 The modern bowl gouge is manufactured to very high standards and is probably the most used tool owned by many turners. 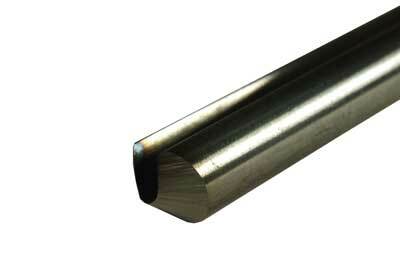 In the past, the tools were hand forged from carbon steel and came in all shapes and sizes. 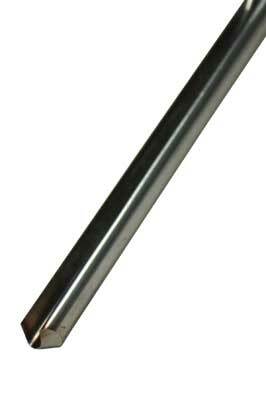 We are fortunate today to have good quality M2 HSS (High Speed) steels giving us a tool that takes and holds its edge for a lot longer. 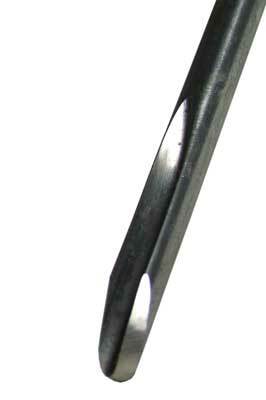 The bowl gouge can be ground to create various tip profiles: square/straight across, fingernail and long grind/swept-back gouges, which all offer great versatility for a vast range of techniques. Today, if you ask turners which type of tool they prefer, many will give different answers, but there seems to be a current preference towards the fingernail profile, more easily mastered than some of the other grinds available. 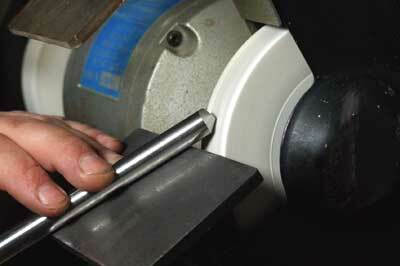 My personal recommendation is a 10mm (3/8in) square-ground traditional gouge. 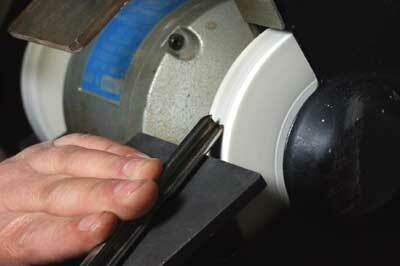 This tool will produce a much superior result than all the others when making finishing cuts. 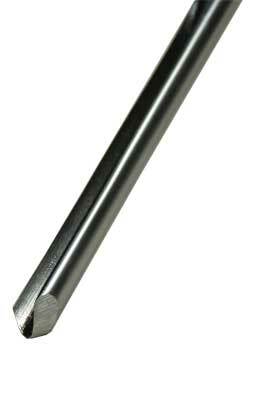 A typical bowl gouge is manufactured from solid bar with a deep flute milled along two-thirds of the length of the bar. 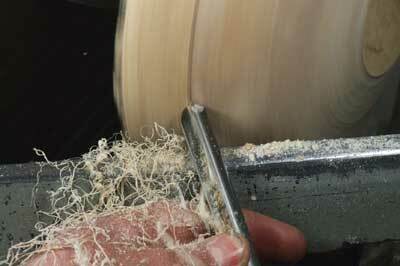 The flute is milled in such a way that the shavings will eject from the tool without clogging whilst making a cut. 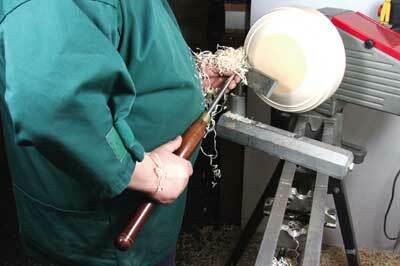 There are some profiles however, that have quite narrow flute profiles and these unfortunately have a tendency to clog up with shavings created by the tool. 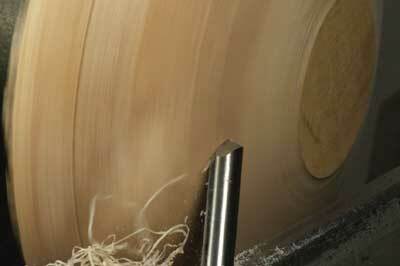 There are three basic cuts: the push cut, the pull cut and the shearing/scraping cut. Within this article I will illustrate these various techniques. 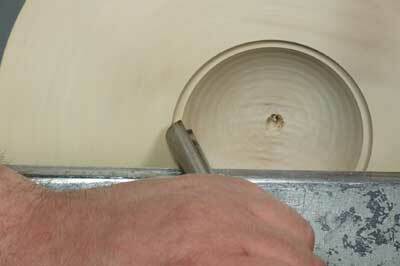 Bowl gouges normally have much longer handles than spindle turning tools to allow the user better control. 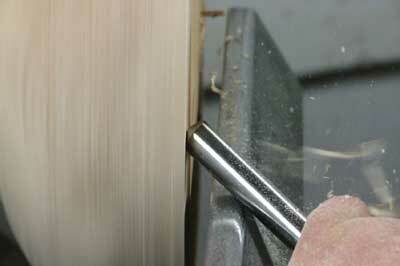 They also have deeper flutes in relation to the bar size than a spindle gouge. 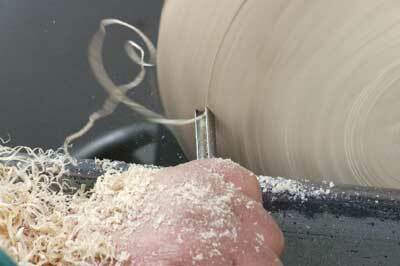 They can be ground in a variety of ways: square across through to a swept-back grind of varying degrees. 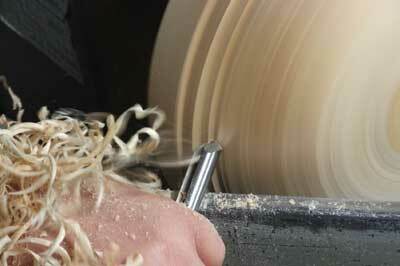 These are oten referred to as: Celtic/Irish grind, Ellsworth grind and long-grind bowl gouges. There are also many other names for these grinds. 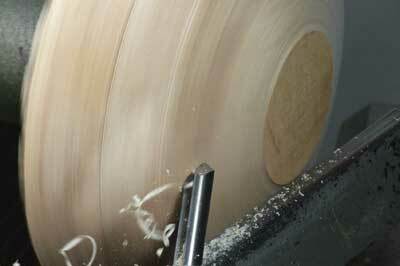 Individual turners have their own personal variations on these for various reasons; no grind is right or wrong. 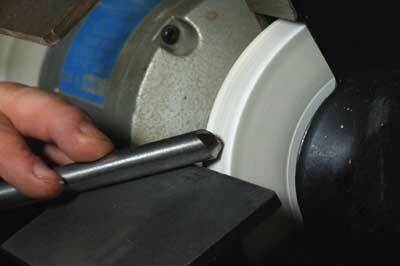 Sharpening the square-grind bowl gouge requires a steady toolrest and positive presentation. The bench grinder needs to be switched off, set at the angle to the toolrest to allow the bevel to fully contact the grinding wheel. Rotate to the left and roll the tool to the right, blending both sides together to create one continuous bevel, which appears at the front of the tool. 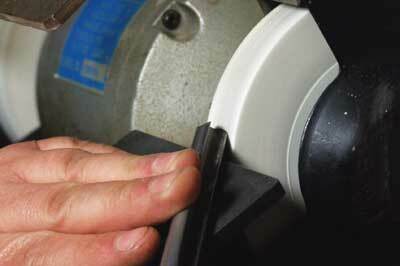 What is meant by bevel rubbing? Often the beginner will find it difficult to know where to start with this technique. The bevel is ground to 45° which means the tool needs to be presented at this angle at all times: rub the bevel, lift the tool until the dust/shavings start to appear, then rotate the flute of the tool in the direction that the tool is going to travel and begin to move slowly across the blank. 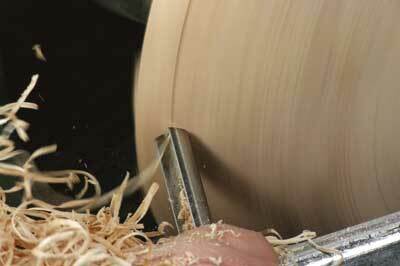 Make light cuts to begin with as there is often more air than wood. 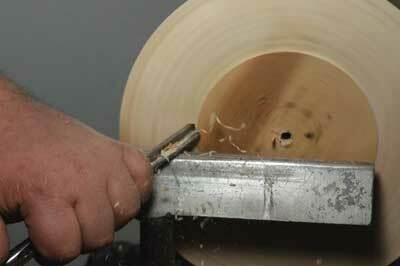 Heavier cuts can be made once the bevel is in constant contact with the wood to create fluid curves/shapes. Fluid movements are required throughout the action of turning a curve. This means that the handle has to be constantly on the move. 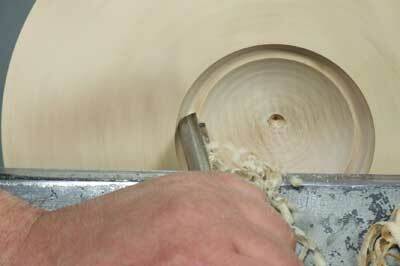 To create a concave shape the handle will need to be pushed towards the back of the lathe. 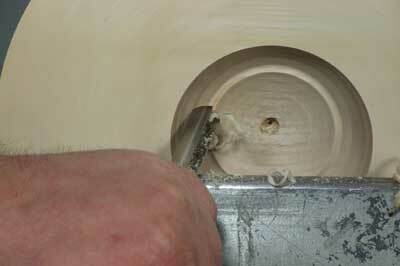 When you are creating convex shapes, pull the handle towards the front or the headstock. This is a more advanced cut. As you improve this will produce some amazing results, using a much more powerful grip. 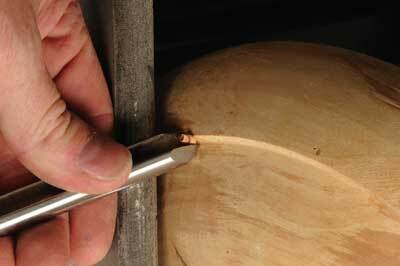 Using a slightly swept-back ground gouge, rotate the flute towards the blank, and using the leading wing of the tool, rub the bevel against the wood until the tool is at the point of cut. At this point, pull the tool towards you, this will then remove the wood you do not require, creating the shape you are aiming for: this is a bevel rubbing cut. It can be used as a powerful cut to remove large amounts of shavings, or with very light presentation to refine the exterior shape, producing feather-like shavings. 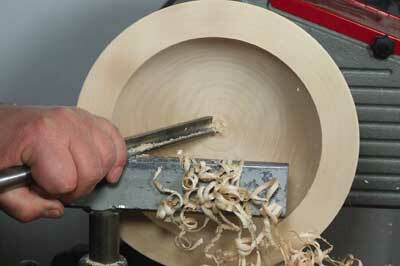 Always start at the centre and work progressively towards the outside of your bowl. Each cut is a practice cut for the finished bowl.